If you're too busy to follow the steps, you can find this tutorial also here: https://github.com/st-js/bridges-examples/tree/master/html-hello. 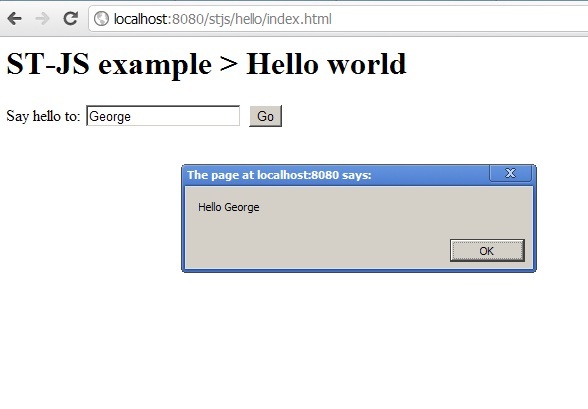 Create the Java class org/stjs/hello/HelloWorld.java. The main method will be executed after the declaration of the class. Add the onload listener in the main method. The "window" object is a static member of the Global class.